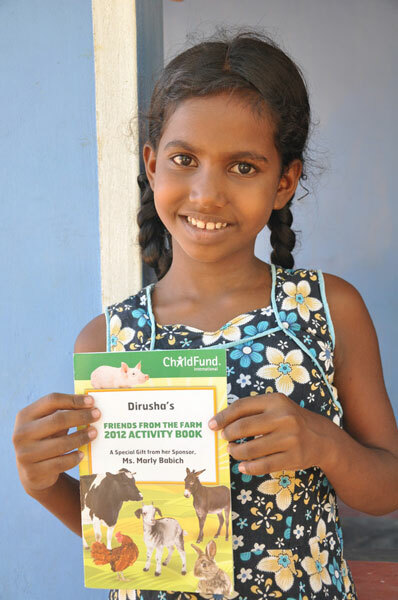 ChildFund Ireland works on the basis of four to five year strategic planning cycles. During 2013, the Board adopted a new plan for the period 2014 – 2018. A summary of the plan is available here Summary SP 2014-2018. We will work to realise the strategic plan in a variety of ways and will continue to improve our programmes and practices, working closely with our sponsors, donors, supporters and professional colleagues who remain critical to ensuring our success. We will work with our ChildFund colleagues in development and humanitarian programmes by offering sponsorships in the following countries: Brazil, Ethiopia, Guatemala, India, Kenya, Mexico, Mozambique, Philippines, Sri Lanka, Uganda and Zambia. We will also continue to work to source additional funds through grants from government, institutional donors, corporate donations, supporter groups and fundraising. This allows us to assist further communities to improve the lives of their vulnerable and excluded children, help them overcome poverty and achieve their rights. We will continue to work to increase awareness and understanding of the public and our supporters about social justice and the world we live and work in, through public awareness activities and our development education programme aimed at children in primary schools. We strive to improve our communications and systems on an on-going basis and welcome your feedback. Sponsors are sent annual reports on the children they support; much has been done to standardise and improve sponsor reports. Financial systems are in place to ensure that all funds are duly monitored and reported to sponsors, other donors, our CEO and board. ChildFund is involved in networks relating to international development through participation in various Dóchas Working Groups, the Irish Consortium on Gender Based Violence, and the Coalition for Children’s Rights of which ChildFund Ireland was a founding member in 2012. A position paper on Children’s Rights and the Post-2015 Framework was officially launched on 9th April 2013. The event was attended by the Minister for State at the Department of Foreign Affairs and Trade, Mr Joe Costello. ChildFund plans to remain a very active member of ChildFund Alliance through our participation on various ChildFund Alliance networks and committees, to share good practices, learn from each other and to make valuable contributions to the Alliance’s strategic direction. We actively participate in the Small Voices, Big Dreams study, which looks at children’s aspirations, hopes and fears across the Alliance members’ countries. The programme team strongly supports our partners through clear communication, capacity building, and technical support.